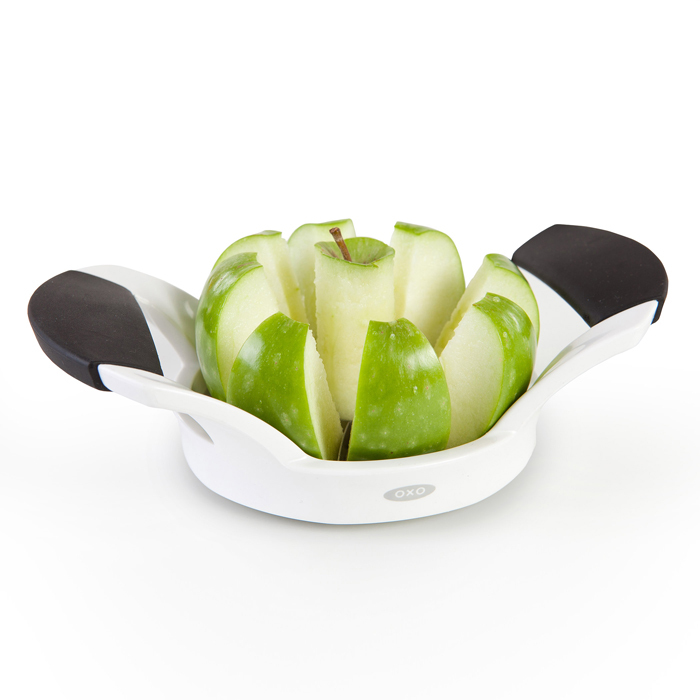 Core and slice apples and pears with ease with the OXO GOOD GRIPS Apple Divider. Soft, wide handles take the pressure off your hands, and sharp, stainless steel blades glide easily through fruit and yield perfect slices. 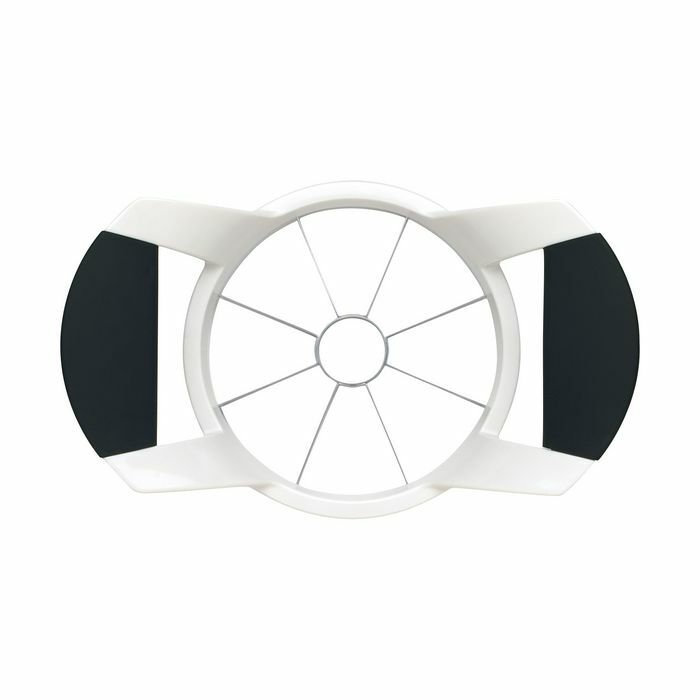 The handles are raised to assure ample clearance between your hands and the table. 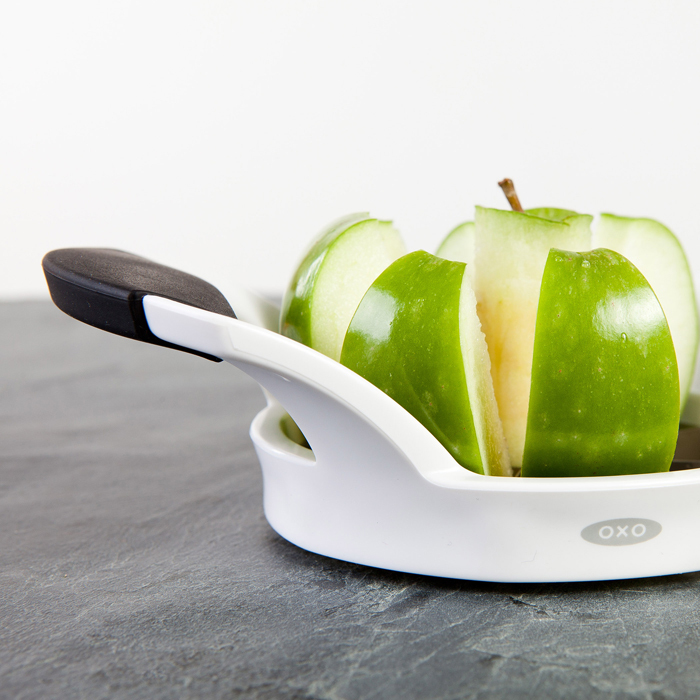 The OXO GOOD GRIPS Apple Divider is perfect for pies, cobbler or preparing a simple snack.